The mug on the left is an original puck of Hallows from the initial batch for the scent-off. 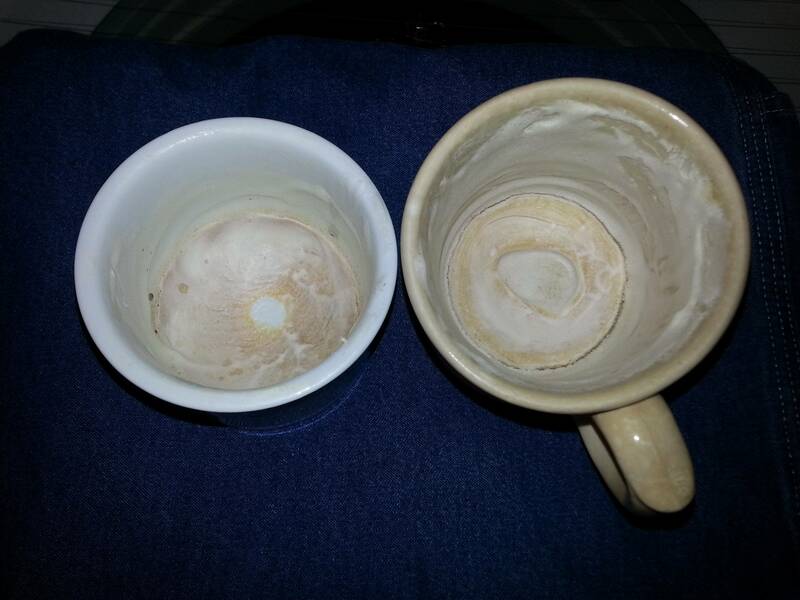 The mug on the right is a puck of roam from one of his final batches, if not the last batch. I do have more Hallows, but in a big tub from 2014 so the world isnt coming to a total stop. I see a few shaves left in there! (04-07-2016, 09:17 PM)olschoolsteel Wrote: The mug on the left is an original puck of Hallows from the initial batch for the scent-off. But... you do know that Will did another limited production run for Roam. With the Glissant base. Mine should be here Saturday! Quote: But... you do know that Will did another limited production run for Roam. With the Glissant base. Mine should be here Saturday! The Hell you say...where the Hell have I been? I must have been buried under school work and didnt notice. If you decide not to go that route, I have a disaster reserve in place in case one or more of the shipments is damaged, lost, or destroyed. We typically sell off the rest of what we don't need. Did a Roam Tonique and more Kyovu this time too. Have reserves of all three. Well son of a gun. I can put my cryin towel away now. NO MORE SADNESS! Classy thread here, enjoyed reading it. Where there's a Will, there's a way. Awesome gesture Will!